Dried Peas, Brown Rice, Pea Protein Concentrate, Oats, Sorghum, Lentils, Organic Canola Oil, Peanuts, Sunflower Hearts, Potato Protein, Brewers Dried Yeast, Alfalfa Meal, Flax seeds, Natural Vegetable Flavor, Quinoa, Millet, Calcium Carbonate, Dicalcium Phosphate, Salt, Potassium Chloride, Vegetable Pomace (Carrot, Celery, Beet, Parsley, Lettuce, Watercress & Spinach), Taurine, Vitamins (Vitamin E Supplement, Niacin, D-Calcium Pantothenate, Vitamin A Supplement, Biotin, Vitamin B12 Supplement, Vitamin D2 Supplement, Riboflavin Supplement, Thiamine Mononitrate, Pyridoxine Hydrochloride, Folic Acid), Choline Chloride, Minerals (Zinc Sulfate, Ferrous Sulfate, Copper Sulfate, Manganous Oxide, Sodium Selenite & Calcium Iodate), DL-Methionine, L-Lysine, L-Carnitine, Parsley Flakes, L-Ascorbyl-2-Polyphosphate (Source of Vitamin C), Dried Cranberries, Dried Blueberries, Preserved With Citric Acid and Mixed Tocopherols (Form of Vitamin E). V-Dog kibble is free of corn, soy, wheat, gluten and GMO's, made in the USA. 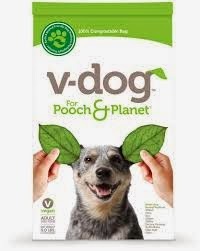 V-Dog bags are 100% compostable. V-Dog also offers natural and healthy breathbones. 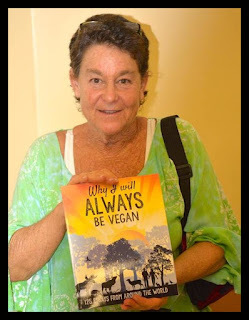 My 30 Years Experience Proves that Dogs Can Eat Vegan! 100 Vegan-Eating Dogs, including one of the longest lived dogs ever! 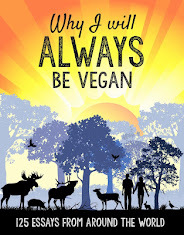 Video with Kisses; who ate vegan her whole life. Just click the links right on this post and they will take you to the site. In the U.S. and Canada and they ship right to your door. Is it possible to be delivered in Australia or is it available only in US and Canada?